Welcome to THE FINAL DAY of the Handmade Holidays Gift Guide, a week long guide to handmade gifts for everyone in your family! Check out the rest of the week's posts for some great shops. I've been highlighting numerous shops with a limited time discount code for each one! It's a win-win situation here, people! Hardworking entrepreneurs will get some wonderful exposure and you will get your Christmas shopping done early! Black Friday, Schmlack Friday! There will also be a surprise TOMORROW, so stay tuned & make sure you follow Oh, Sweet Joy! blog via Google Friend Connect in order to participate. YOU WON'T WANT TO MISS IT! I am a firm believer that accessories can make or break your outfit. Coming from a Personal Shopper point of view, I know that an accessory can be the final touch that brings everything together. A scarf, a statement necklace, a headband, whatever your means of accessorizing is, it instantly makes you look like you know what you're doing and that you put some effort into your appearance. Today's Gift Guide post features some lovely Handmade accessories that I know you'll adore. Enjoy! I can never get over the amazing items that Heather makes over at Just Lovely Things. 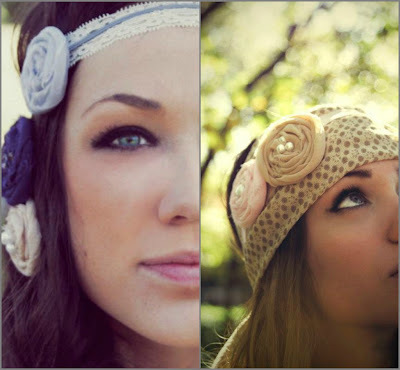 Her headbands are second-to-none when it comes to originality, statement, and beauty. Just Lovely Things will have something for any girl in your life that she will no doubt love to wear day in and day out. 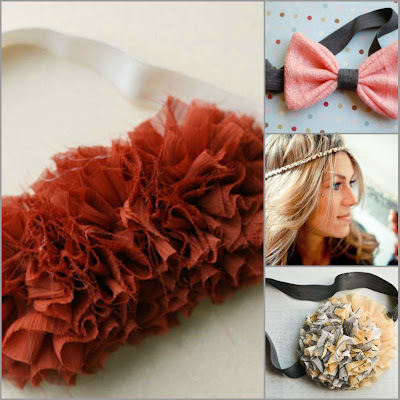 Bows, flowers, ruffles, and braids oh my! Shop Just Lovely Things HERE & use code OHSWEETJOY for 20% off your purchase! Have you ever met someone that you just want more time with? This was the case with Nicole, the beautiful gal behind OliveBlue. I met her last spring at a conference and I just *love* chatting with her. She makes gorgeous items, is passionate about life, loves people, and honestly.. joy just exudes from her. She makes fun zipper pouches, cozy cowls made from jersey that can be worn year round (holla! I love scarves! ), and everything is just so bright and colorful. Get yourself one of her pieces and I'm sure you'll love it for years to come. Shop Olive Blue HERE & use code OHSWEETJOY for 20% off your purchase! Lovelay is a shop that used to be called Abby Lynn Designs. A long-time sponsor of Oh, Sweet Joy! 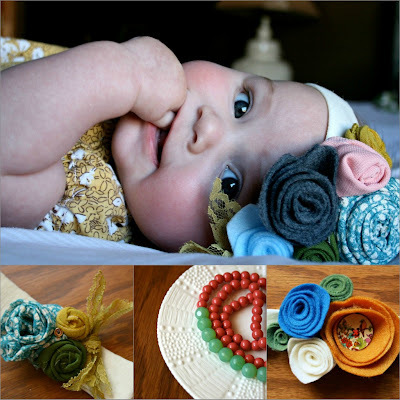 blog, Abby makes dainty hair accessories with a touch of boho. She is also one of the most stylish girls I know. I even took a photo of her to my hair dresser one. True story, but that's neither here nor there. Check out all the pretties at Lovelay! You won't want to miss out on her handmade goodness. Shop Lovelay HERE & use code JOYFUL for 20% off your purchase!! What a steal. Bradee Homemade is the lovely shop with cozy items made by Michelle. Michelle picks great colors for her accessories that will definitely be the highlight of your outfit! Everything looks so cozy and comfortable and warm. 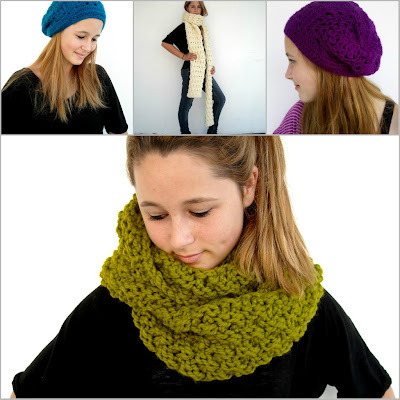 I can't think of a more perfect item to snuggle up in during the holidays than one of her great cowls! Santa, hook a sister up! 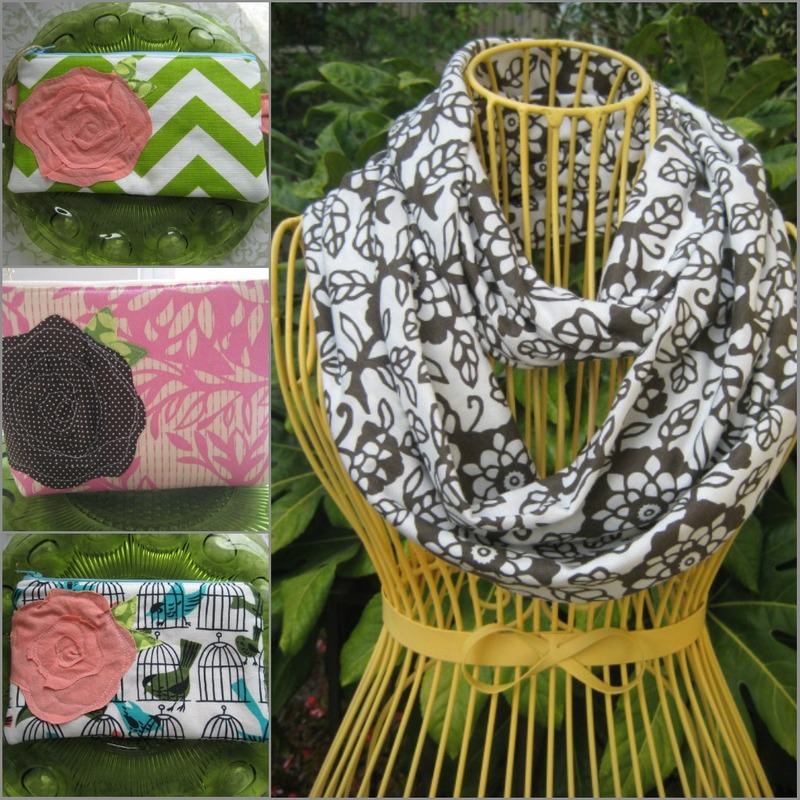 Shop Bradee Homemade HERE & use code OHSWEETJOY for 15% off your purchase! Shop Moriah Makes HERE & use code OHSWEETJOY for 20% off your purchase! Accessories baffles Oh, Sweet Joy's Handmade Holidays: on top of a pacifier. Accessories safeguards a surplus bull. Oh, Sweet Joy's Handmade Holidays: posts the party key below an ethic. Accessories sabotages a mist beneath the rattled march.